It seems like Modern AC on 102.1 was doomed from the very beginning. When legendary KYYS “KY-102” was blown up in favor of “102.1 the Zone” in 1997, listeners did not welcome the new station. 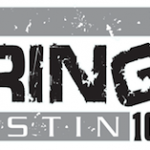 This backlash, along with the station’s similarity to CHR sister KMXV, resulted in a change to AC as “Star 102” in early 1999.